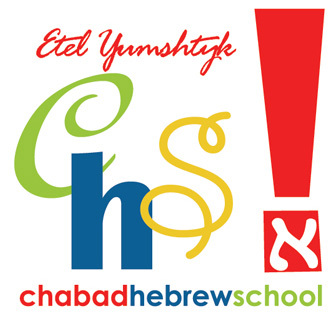 Chabad Hebrew School offers a warm and lively Jewish atmosphere where children can attain a unique and exciting awareness of their Jewish identity. Indeed, a child equipped with a Torah education and a feeling for Judaism’s beautiful teachings, traditions and historical lessons, is a child better equipped to face the awesome moral challenges of today’s society. Our school’s most underlying approach is for the children to enjoy the time spent at Hebrew School so that they are left with positive feelings and fond memories of their Jewish education. Our program is thus carefully blended with songs, games, incentives, arts and crafts, dramatics, field trips, family celebrations and other exciting co-curricular activities. We encourage you, as a parent to get involved, ask questions and keep in touch with our school. You may very well discover that your child’s Hebrew School education at Chabad will add an enriching spiritual dimension to the lives of your entire family. Our first goal is to teach the children to read Hebrew with fluency, so that they can learn to read and pray from a siddur comfortably, and follow along with a Synagogue service. Our second goal is to teach the children about the beauty of our Religion in the most exciting, creative, hands-on manner so that the richness of our heritage and traditions are brought to the children in a tangible and meaningful way. To attain a strong feeling of identity with their heritage and to develop a sense of Love and Pride in being Jewish. Gain Knowledge and Understanding of the Mitzvot, traditions and practices that Judaism stands for, study and morals, values and ethical behaviour mandated by the Torah, and develop an appreciation and experience a hands-on approach to all holidays. Master the skills of Hebrew reading and to gradually develop the ability to understand basic Hebrew words, emphasizing prayers so that the students will feel comfortable when attending services. Identify with the Land of Israel as their own land and develop an interest in issues relating to Israel and its inhabitants. Discover and explore the incredible history of the Jewish people and its relevance for all times. Allow students to express their opinions and questions about G‑d, Torah and religion and to have them understand the importance and relevance of Torah in today’s day and age. 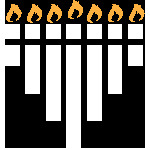 Attain a “Jewish” perspective on life and maintain Jewish feelings and involvement beyond the years at Hebrew School and ultimately perpetuate this onto future generations.